Keep your financial data in the right hands — yours! 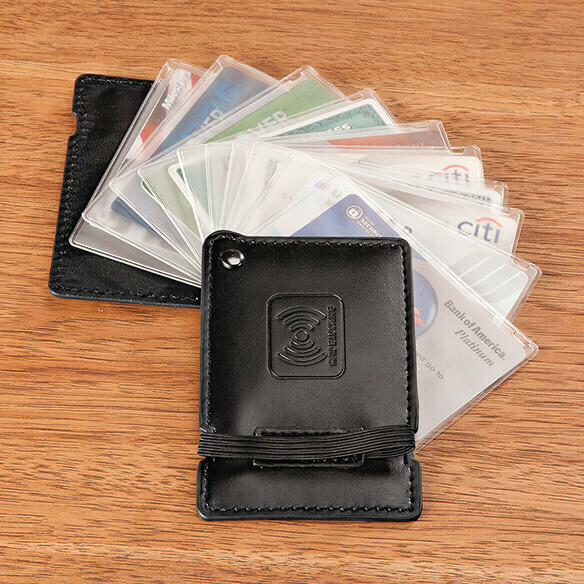 Quick Pick™ RFID Blocking Card Case's faux-leather panels block RFID scanners to protect your credit cards from electronic transmission theft. Ten card sleeves with easy-slide openings fan out for viewing and access. 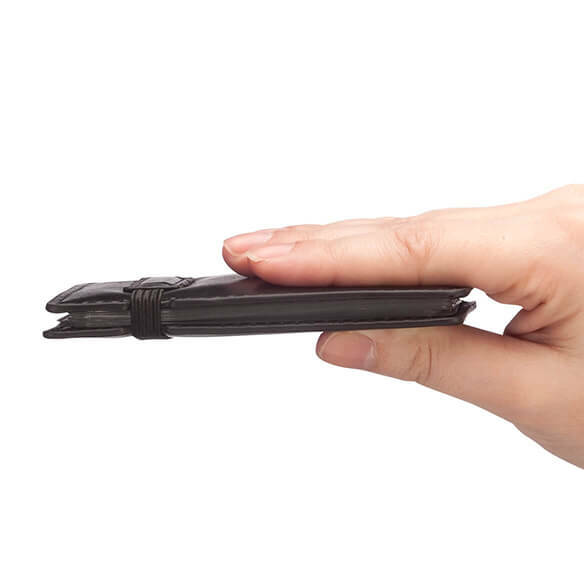 Slim profile with elastic closure provides a sleek look and fits in a pocket or purse. 4 1/4" x 2 3/4". I'm going on vacation and hope this will fulfill my needs. small enough to fit in pocket. 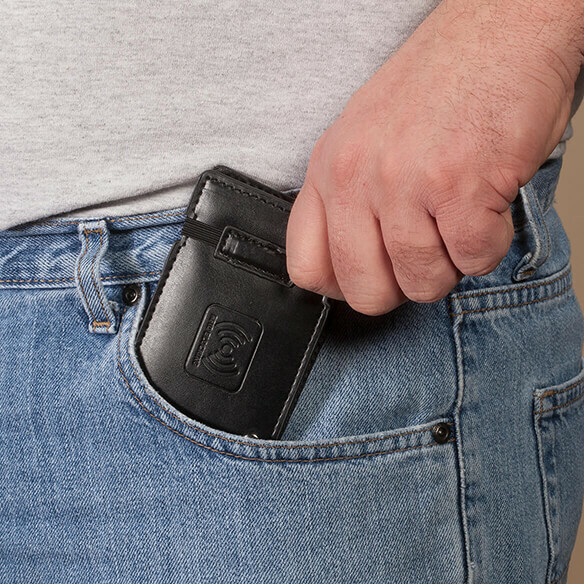 My wallet cannot take all of my credit cards, this is the easy way.